As one of the world's most significant car shows, the annual Geneva Motor Show is the place to see all the latest metal - from concepts and compact flying cars to the weird and wonderful creations from every corner of the world. 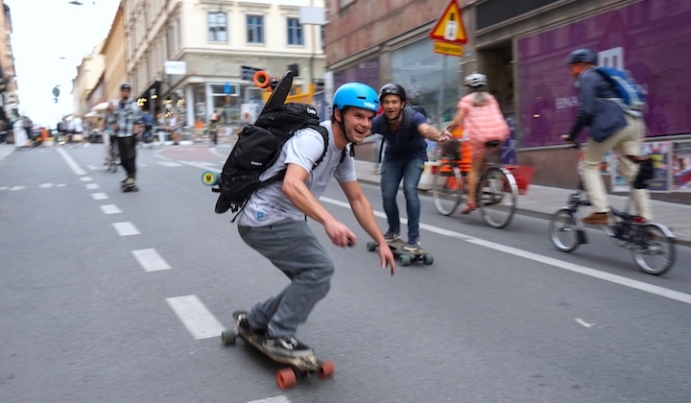 This year you could also spot an electric skateboard amoung the vehicles. Thanks to the cooperation with Skoda, who literally integrated us into their new car model, the Skoda Vision X, two Mellow Boards were very well showcased as a last mile solution. Watch the trailer about Skoda's future urban crossover concept including a hybrid car, two e-skates and a drone (starting at 1:06 min). Want to stay informed about Mellow? Subscribe to the Mellow News.